Analysis The most expensive aircraft ever built for the British armed forces, a painstakingly-restored De Havilland Comet airliner outfitted as an anti-submarine patrol plane, has made its first flight. The 1940s* aeroplane that WOULD NOT DIE. The Nimrod MRA4 programme was initiated back in 1996 by TV presenter, one-time director of BAE Systems and former New Statesman theatre critic Michael Portillo, who was defence minister at the time. Under the original deal, BAE Systems would be paid a "fixed price" of £2.2bn to rebuild, rearm and upgrade the RAF's fleet of 21 Nimrod MR2s, the last De Havilland Comet airframes left flying in the world, to the point where they would effectively be new aircraft. This would have meant a cost of just over £100m per plane. 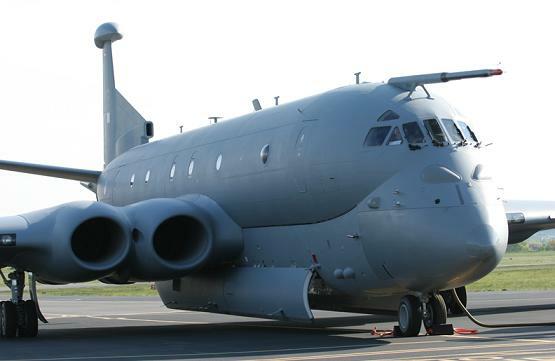 The project was then known as "Nimrod 2000", rather optimistically as it turned out. As time went by it became clear that the price was not fixed, and that "2000" wasn't a good name for the project at all: it was re-dubbed Nimrod MRA4. BAE Systems has just announced that the first flight of a production-standard MRA4 took place last week, though the aircraft is not yet ready for handing over to the RAF - that will probably take place next year. Then there will be more delay before the type can be declared operationally capable. Meanwhile the MoD now estimates the programme's overall price tag as £3.6bn, an increase of more than two-thirds. In fact the situation is much worse than this, as the number of planes has had to be slashed to prevent even worse cost overruns. The RAF will now receive just 9 aircraft rather than 21. As a result the cost per plane has actually quadrupled: each MRA4 will now have cost the taxpayers a cool £400m, better than $660m at current rates. And this is without allowing for the fact that the original planes, supplied for upgrade by the government, had already cost a substantial sum. This makes the Nimrod MRA4 not only the most expensive British military aircraft ever made but one of the most expensive aircraft in the world: you could buy a fleet of space shuttles or stealth bombers for the price Blighty is paying to have restored 1950s-vintage airliners. But perhaps a modern anti-submarine plane costs this much normally? No it doesn't. India, for instance, earlier this year ordered a fleet of 8 brand-new P-8 Poseidons, the type the US Navy is getting, for $260m each - 40 per cent of what Britain will pay for its Nimrod MRA4s. And the P-8 is based on the 737 airliner, in commercial service all around the world, meaning that its running costs will be a fraction of those associated with keeping the last 9 Comets flying. We can expect that the 8 Indian planes will offer significantly more capability that the 9 British ones, in fact. But at least Blighty retains the ability to do proper high-tech, surely? After all, the MRA4 is to feature all-new computers, sensors, engines etc. Who cares about the airframe as long as we retain critical skills like this?